Marine, coastal, and wetland ecosystems are among the most productive, yet threatened, ecosystems in the world. They include open ocean, nearshore coastal areas, places where freshwater and saltwater mix, and interior wetlands. Over a third of the world’s population live in coastal areas and they depend on the many services that ecosystems such as coral reefs, mangroves, and wetlands provide. The coastal waters in northern Peru constitute the most productive cold water upwelling system on the planet and hold one-fifth of the world’s fish stocks. ABOVE: Chilean flamingos in the mangove wetlands of Peru’s Tumbesian coast. Peru’s northern sea — home to species such as sea turtles, humpback whales (Megaptera novaeangliae) and the endangered Humboldt penguin (Spheniscus humboldti) — holds roughly 70% of the nation’s marine biodiversity, including many endemic species. The coastal waters here constitute the most productive cold water upwelling system on the planet and support one of the world’s largest fisheries — accounting for nearly 20% of global fish stocks. Despite its high levels of biodiversity, endemism, and economic significance, this eco-region lacks sufficient legal protection and faces enormous threats including unsustainable fishing practices, industrial pollution, and unmanaged tourism. Despite its high levels of biodiversity, endemism, and economic significance, this eco-region lacks sufficient protection. Residing in the transition zone between aquatic and land environments, mangrove forests maintain the food chain of coastal ecosystems. Mangroves are tropical trees with intricate root systems that thrive in conditions most plants could never tolerate — salty, muddy, coastal waters. These ecosystems are generally found in warmer areas between the latitudes of 32 degrees north and 38 degrees south. Mangrove forests provide shelter for a variety of marine life and are important nursery areas for young marine animals, from 1-inch gobies to 10-foot sharks. With the ability to store vast amounts of carbon — up to 10 times more carbon than tropical forests — these ecosystems are key weapons in the fight against climate change. 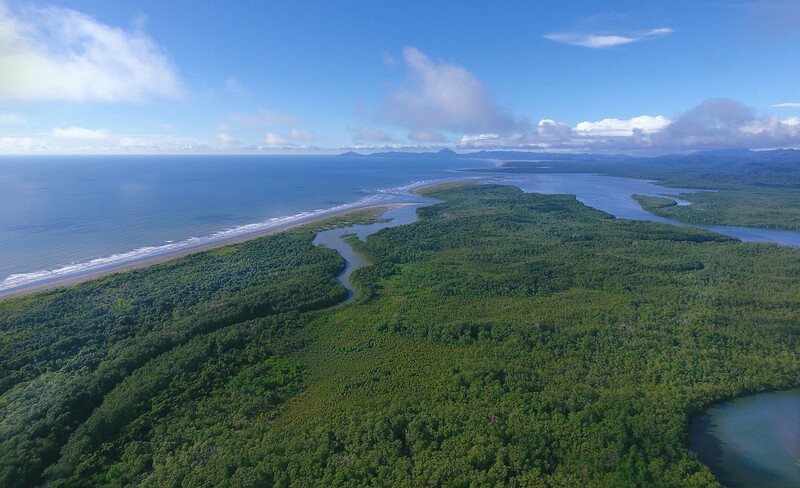 ABOVE: Nature & Culture’s Bajo Baudó Regional Protected Area in Colombia conserves 776,000 acres, including 113,000 acres of mangrove forests, which protect against storm surges and coastal erosion and provide nursery habitat for juvenile shrimp and fish. It is the largest mangrove area in the Department of Chocó. Wetlands—places where the land is covered by shallow water—cover just 6% of the Earth’s surface. They provide food, clean water, storm protection, and refuge for countless people and animals around the world. Despite their global significance, an estimated one-half of all wetlands on the planet have disappeared. The Pantanal is the world’s largest tropical wetland and one of the most pristine and biologically rich environments on the planet. At 42 million acres, it sprawls across three South American countries—Brazil, Bolivia and Paraguay and is home to home to 1000 bird species, 400 fish species, 300 mammalian species, 480 reptile species and over 9,000 subspecies of invertebrates. 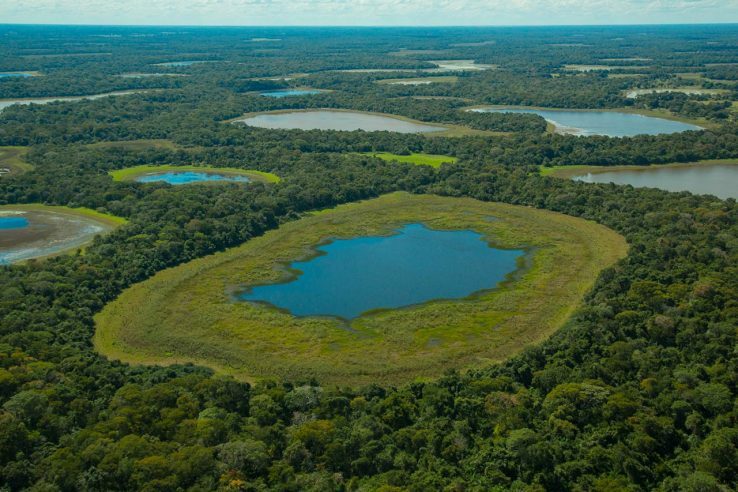 At 42 million acres, the Pantanal is the world’s largest tropical wetland. ABOVE: Brazil’s Pantanal wetlands are the world’s largest tropical wetland at 42 million acres. This massive wetland is a refuge for iconic wildlife. Some of the Pantanal’s most lively and charismatic inhabitants include caimans (Caimaninae), jaguars (Panthera onca), giant anteaters (Myrmecophaga tridactyla), Hyacinth macaws (Anodorhynchus hyacinthinus) and green anacondas (Eunectes murinus) – the world’s largest snakes. 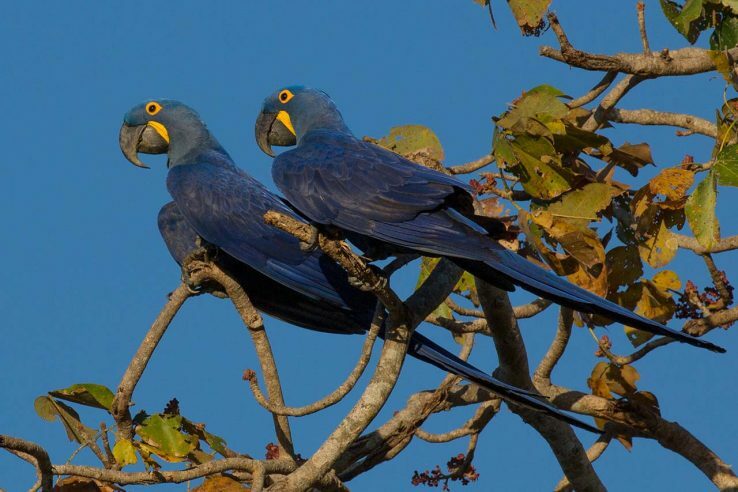 ABOVE: Rare and endangered hyacinth macaws in Brazil’s Pantanal. 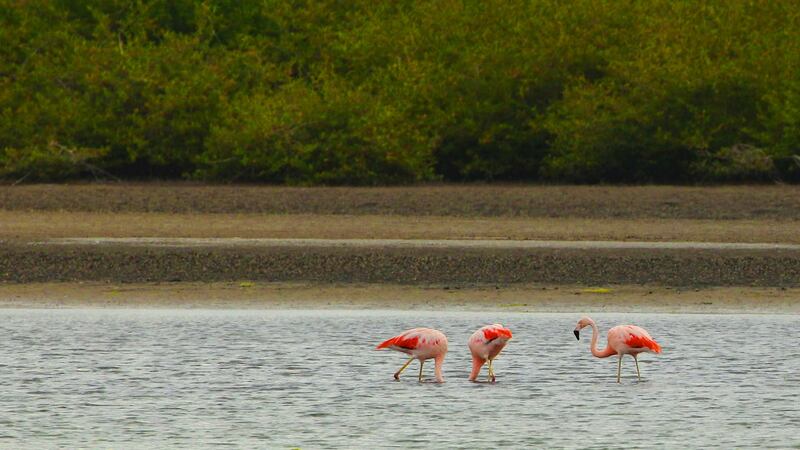 Nature & Culture works to conserve the marine, coastal, and wetland ecosystems of Brazil, Colombia, Ecuador, and Peru — some of the richest on Earth. These critical places are threatened by a number of factors including unsustainable development, over fishing, environmental pollution, and climate change. 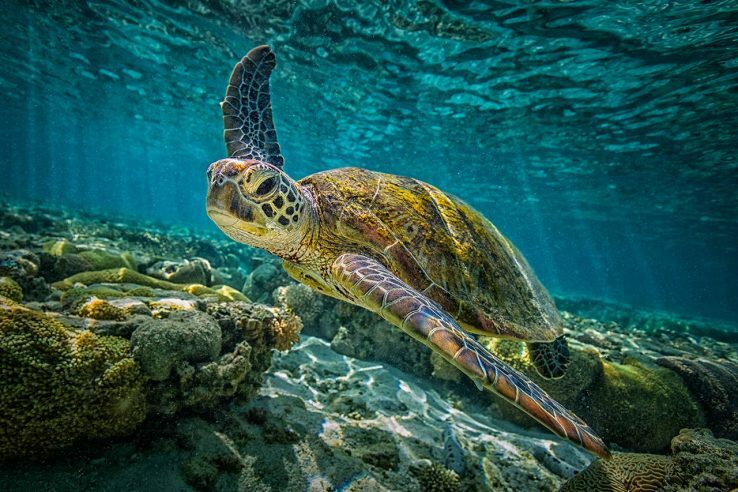 Informed and responsible stewardship of these beautiful regions is critical to their survival and the many endangered species that call them home. 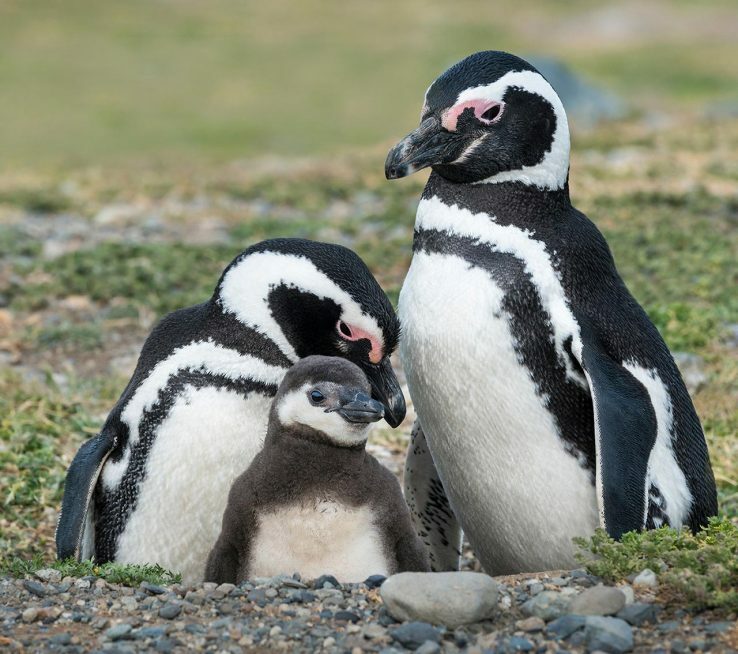 ABOVE: A family of Humboldt penguins along the coast of northern Peru.